The American TFP > News Commentary > Is that the Titanic Sinking? No! It’s Russia’s Economy! Bloomberg has ranked the Russian economic performance expected in 2016 as the fourth worst in the world, surpassed only by Venezuela, Brazil and Greece. A sinking “Titanic” was the dominant image on Russian social networks during their Christmas and New Year, which lag behind the West due to different calendars. Since then, indicators have only gotten worse. Is that the Titanic sinking? No!!! Russian citizens answered in chorus, it’s the economy! “The Titanic has already crashed, its bow is filling with cold water but the crew and first class passengers behave as if nothing is happening. The captain quietly keeps eating his lunch in the hall,” wrote blogger Alexeï Kougourov, quoted by the Le Monde newspaper in Paris. 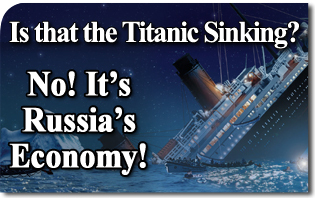 “We warn all those waiting for the Russian economy to reach the bottom of the sea in order to return to the surface that the [historic] Titanic also touched the bottom but never resurfaced,” wrote another netizen, with a touch of caustic humor. Le Monde provides an overview of the steep spiraling decline of several indicators such as the Moscow Stock Exchange and the value of the ruble, the national currency. A key fact remains, and its effects are devastating: Vladimir Putin’s Russia has not put an end to socialist collectivism and the hens have come home to roost. What little remains of private property and free enterprise linger in small and medium enterprises, more and more curtailed by the socialist reforms. So it is no wonder that Russia, while endowed with remarkable natural resources, fails to meet even the basic needs of her people. After the fall of the Soviet regime, a “capitalist winter” promised to dawn with fabulous earnings from Siberian oil and gas, extracted by Western capital and technology, paid for at international prices and with Western currencies. But the stale ideas of communism were not removed, and much of the capitalist financial resources evaporated maintaining collective property. Now that the exceptional commodity bonanza is over, so is the illusion. Furthermore, the devouring monster of Soviet communist property did not remain in state hands but rather with a team of moguls obedient to the Kremlin chief, who daydreams about Stalin’s era. The result: consumer goods are either missing or inaccessible. Deficiencies are remedied by poor quality products from distant and unknown collective farms—land reform settlements—but even inhabitants of showcase cities like Moscow and Saint Petersburg are depressed. The official 2016 budget was based on oil priced at $50 a barrel, a very risky estimate for the regime. But oil prices have fluctuated around or below $35. Bloomberg ranks the Russian economic performance expected in 2016 as the fourth worst in the world, surpassed only by Venezuela, Brazil and Greece. According to the VTsIOM research institute, 30% of the Russian population says they still manage to buy food as before, but cannot afford to buy clothes. Moreover, 40% have stopped buying appliances and furniture. With this gap, economic figures provided by the Kremlin, already distorted from the beginning by propaganda requirements, are no longer credible. From the Russian Titanic, and leading plutocrats without morals, Vladimir Putin pours millions of dollars worth of bombs on Syria and beckons anti-capitalist leaning European and American parties with other millions, enticed by financial promises, which are not always paid. Dazzled by the color of money, Western “fellow travelers” sing praises to the maintainer of old recycled communism. 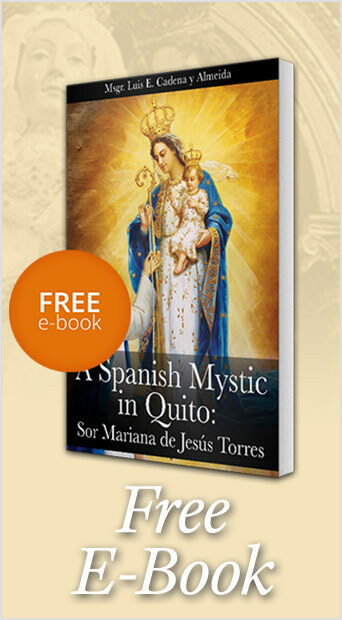 They present him as savior of the family, life and Christianity. In a few words, sort of a Charlemagne! Something very similar happened during the Soviet era. A supreme leader presented himself holding happy little children with flowers. He was none other than Putin’s favorite model Russian ruler: Joseph Stalin! In those days, whether near to or far from Moscow, in the gulags and steppes, millions of men, women, children and entire families were massacred for the glory and power of the lord of Red Russia while Western “fellow travelers” failed to show the least sense of humanity. More of the same poison will only cause Russia to suffer more as her economy sinks like the Titanic with Putin at the helm.